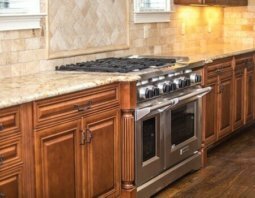 At Denver Cleaning Service Company we can clean your residential space including homes, apartments, mansions, condominiums, and more. Commercial Cleaning Services Company for Denver Metro area businesses, offices, and more. Call today for an estimate on your commercial location. Denver Cleaning Service Company offers deep, steam carpet cleaning for customers interested in putting some extra care in their carpet. 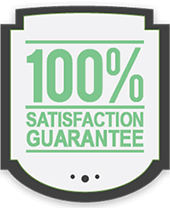 With Denver Cleaning Service Company, your satisfaction is guaranteed! If for any reason you are unhappy with your cleaning service, simply call us within 48 hours of your service, and we’ll touch up any spots you’re dissatisfied with. It’s our mission to provide all customers with the best quality of cleaning services for residential and commercial requests in our service area. With our experienced home and office cleaning staff we do the job right the first time. Our comprehensive cleaning and maintenance set us apart from other companies. With a reasonable price and outstanding customer service, hiring us will be a great decision. Denver Cleaning Service Company is a top local provider for janitorial and cleaning services to homes and offices for businesses in Colorado. Our cleaning company is family owned and operated. We take pride in our work and do everything in our power to ensure every client’s satisfaction with our cleaning service. Professionalism from our Denver Cleaning Service ensures we treat every house and building as our own. Homes, Rentals, Apartments, Hotels, Country Clubs, Schools, Medical Facilities, Retirement homes, Fitness Centers, Houses, Apartment Buildings/Condominiums, Office Buildings, Many More. 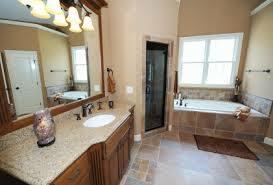 We understand that each house and building has different cleaning needs. We customize our services to suit the ones your requests, focusing on your problem areas as needed, and working around your business or home schedule. Office Services, Sweeping/Mopping, Kitchen Cleaning, Emergency Clean up, Appliance Cleaning(Interior/exterior), Load Dishes/Run Dishwasher, Green Cleaning, Disinfect Bathrooms/Counters, Many More. 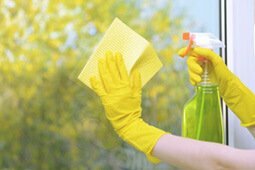 Denver Cleaning Service Company uses environmentally friendly house cleaning products that are better for the environment and safer for you and your family. Let us take care of your cleaning company needs, so you have more time to relax and spend time with family and less time looking through cleaning companies in Denver Colorado. I was very happy with the cleaning service. The ladies who came were pleasant, Hard working, thorough & carried out an efficient cleaning. House looked and smelled very clean when they were done. Thank you. We just had a move out clean and I have to say 5 stars doesn’t come close to the service we received. Our cleaners were very friendly and totally efficient. Our apartment was cleaner than when we moved in! Highly recommend. They were on time and did a great job! This company also arranged for carpet cleaning 30 minutes after the cleaners left at a reasonable price. Denver Cleaning Service Company is a family owned, local business with more than 10 years of experience in the cleaning industry. We take pride in the hard work we put towards meeting our client’s expectations and building relationships with our clients. We take time to educate and be selective about the people who join our team. We want to provide nothing but the best for your office or home. We have quarterly meetings to educate our staff of new products and go over cleaning techniques. What sets us apart from other, larger companies is that we are an on-site company. We follow through after your through! Expect a follow-up call or email from our offices once your service has been completed. We love feedback!